This exciting eBook shows you the key elements of the millionaire mindset from those who are fabulously wealthy. Less than 4% of our population are self-made multi-millionaires. This is only because those who aren’t multi-millionaires don’t know how or are too afraid to apply what they have learned. 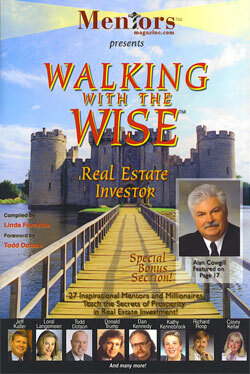 You can become a multi-millionaire by using the most common way to acquire wealth, real estate investment. Around 80% of today’s wealthy use this method and you can learn the secrets to this type of investment from successful multi-millionaires who have done it in Walking With the Wise Real Estate Investor. This is a powerful eBook with outstanding ideas!